I’m not messing around when I say get yourself to a Kmart store pronto. Kmart’s much anticipated, Inspired Living range is being unpacked right this very minute in stores around the country – and you don’t want to miss it! Kmart’s latest furniture and homewares drop, Inspired Living is brimming with on-trend, cheap-as-chips pieces. A self-confessed Kmart fanatic, I’m first in line to offer my home as a showroom for all things Kmart. 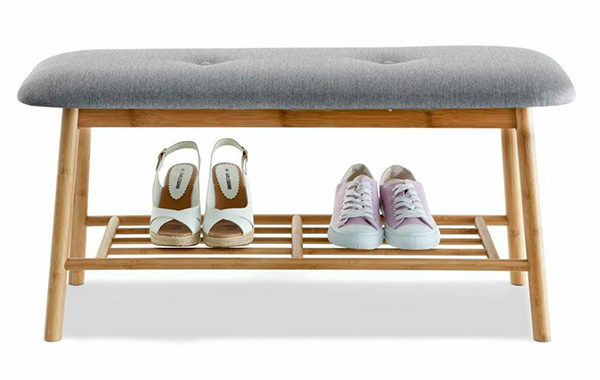 Kicking off the collection is the much sought after Scandi Shoe Rack, $35. The tip of the Kmart iceberg, this bamboo legged, grey upholstered rack/seat already has a cult-like following. Let there be no dilly dallying with indecision over this one, the kids are sure to put their shoes away now. Toy storage can be tricky. 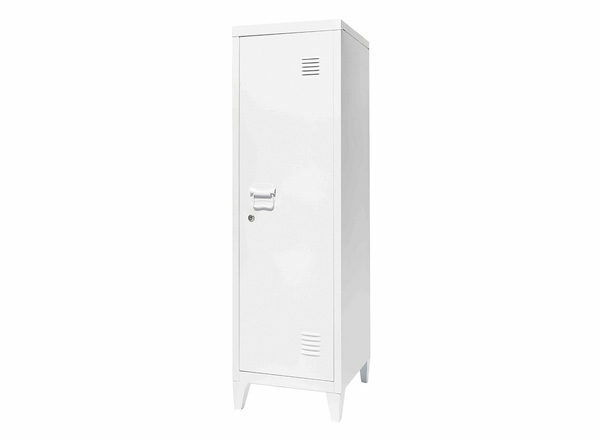 Solve all the play room drama with the Tall Locker, $45. Perfect for squirrelling away puzzles, sports equipment and other fiddly toys you want to store. 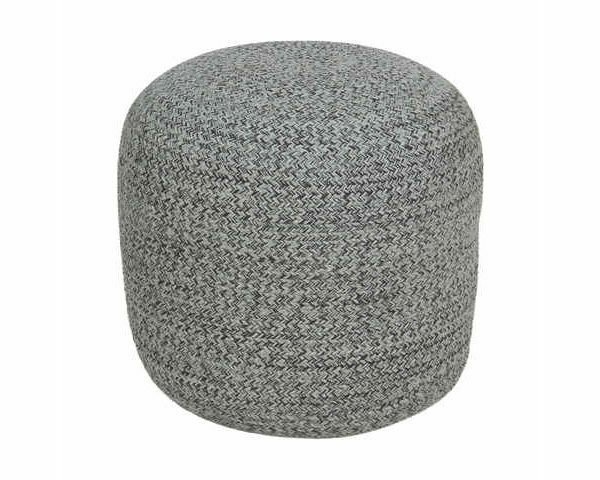 The Braided Ottoman is available in two neutral colours and is the perfect partner for a nursing chair. Priced at just $29, it helps parents put their feet up and relax a little while busily feeding or snuggling with little ones. Likely contender for being the jewel in the current Kmart crown, if ever you needed blue velvet in your life, now is the time. 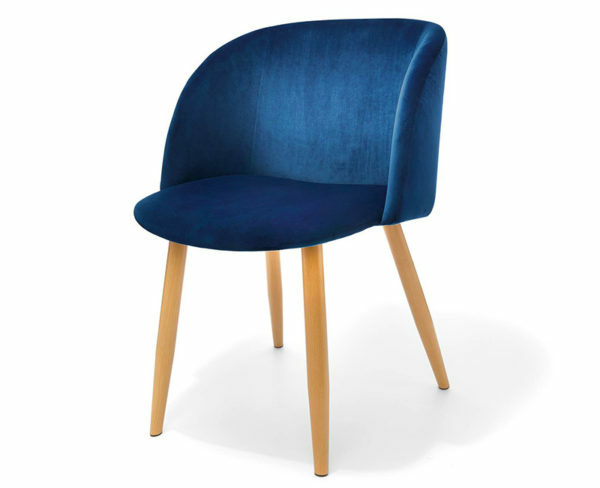 The Velvet Chair is a beautifully compact chair – a great occasional chair for smaller spaces like kids’ bedrooms, it retails at a budget friendly $39. Score! Of course, there’s a whole lot more awesomeness (hello, rose gold cutlery!) that awaits behind the Kmart doors, so quick sticks – hop on over to Kmart online, or run in store to nab your favourite items before they sell out.